Go EARLY if you want a table. 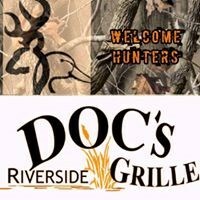 Doc's does a nice job of it, a local eatery, they don't pretend to be anything they're not. Their food is pretty good, more than just bar food. They work at it and it shows. Dependable, comfortable. There is a reason they are busy.